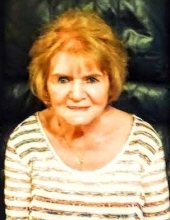 Carolyn L. Maupin, 84, of Chesterfield, passed away at her sons home April 5, 2019. She is survived by four children, Jed Maupin, Mark Maupin, Kimberly LeViness ( Wayne), Michael Maupin (Dawn) and nine grandchildren. The family will receive friends Monday from 6 to 8 p.m. in the Bennett & Barden Funeral Home, 3215 Anderson Hwy. (Rt.60), Powhatan. Graveside services will be held Tuesday at 2 p.m. in the Powhatan Community Cemetery. To send flowers or a remembrance gift to the family of Carolyn L. Maupin, please visit our Tribute Store. "Email Address" would like to share the life celebration of Carolyn L. Maupin. Click on the "link" to go to share a favorite memory or leave a condolence message for the family.